September 28, 2012  An oddity of presidential politics is that candidates and their campaigns spend nearly all their time telling voters how superior they are to their rivals in virtually every area: the wisdom of their policy proposals; the soundness of their judgments — everything, really. Except for debating. 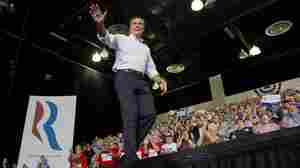 September 27, 2012  The newly unearthed video of Mitt Romney in 1985 explaining how Bain Capital hoped to "harvest" the firms it invested in seemed at odds with the Republican presidential nominee's suggestion on the campaign trail that creating jobs was a major aim in those days. September 27, 2012  President Obama has added the term "economic patriotism" to his campaign vocabulary. 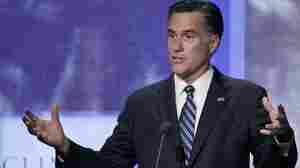 It's a criticism of GOP presidential nominee Mitt Romney, whose personal overseas investments are an issue in the campaign. But while some of what Obama means is clear, the term still raises questions. September 26, 2012  President Obama's new ad uses anticipatory guilt to try to get young voters who might not be as excited as they were four years ago to vote. Meanwhile, Republican Mitt Romney's new ad is born of the now-infamous video in which he is seen talking about the "47 percent." 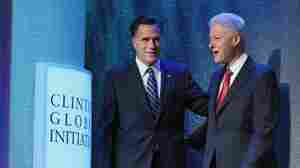 September 25, 2012  President Obama and Mitt Romney took very different approaches in their speeches at the Clinton Global Initiative meeting in New York. 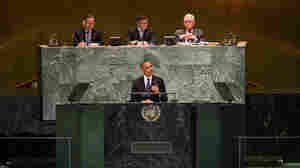 Obama focused on the scourge of human trafficking, while Romney proposed tying U.S. foreign aid to job creation and economic reforms in recipient nations. September 24, 2012  GOP presidential nominee Mitt Romney tried to raise doubts about President Obama's handling of foreign policy. 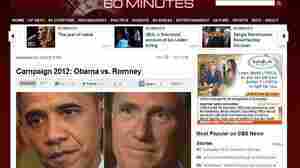 The Obama campaign responded by accusing Romney of trying to politically exploit the deaths of four Americans in Libya. September 22, 2012  The campaign still has a chance to brush off recent stumbles, according to political strategist Steve Schmidt. 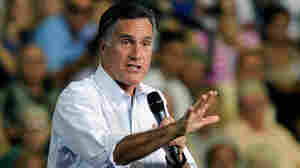 He says Mitt Romney's team needs to refocus and make its case more effectively, with the upcoming debates as a key platform. September 21, 2012  Mitt Romney's release Friday of his 2011 tax return and a summary of his tax rate over 20 years gave friends and foes alike something to grab hold of. But not all his allies greeted the move. September 21, 2012  President Obama demonstrated that he intends to cut Republican challenger Mitt Romney no slack for his "47 percent" comment. He told AARP members that "Medicare and Social Security are not handouts." Meanwhile, Rep. Paul Ryan said critics of the Republican ticket's proposals are misleading seniors.